Stamps Health Services is proud to offer both in-house lab and radiology services for Georgia Tech students. The laboratory provides a full range of blood tests needed for diagnosis and preventative care through our in-house and reference labs. Our in-house testing covers the acute medical needs of our patients. HPS, ROTC, athletics and research activities can also have their phlebotomy and laboratory testing performed here. Radiology provides diagnostic x-rays to provide accurate diagnosis in addition to monitoring disease progression and treatment. 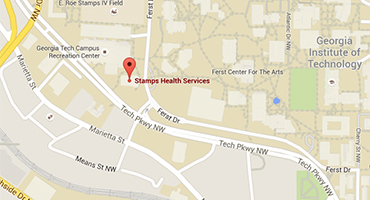 Learn more about the laboratory services in Stamps Health Services. Learn more about radiology services in Stamps Health Services.